Jolie Maxtin: Check it out! It's summer and my sewing machine in going in for service. 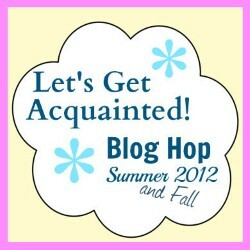 When I get her back I'll be doing lots of projects, but in the meantime, check out the gals on the Let's Get Acquainted Blog Hop. They are sure to make you smile!